Is Best Buy Making its Own Tablet? Best Buy's chief technology officer Robert Stephens recently posted photos of a prototype tablet on his Twitter feed, fueling speculation that Best Buy is creating its own in-house branded tablet computer. Best Buy has been making re-branded products with the Rocketfish label for a while now, but seeing as how Best Buy is the only major U.S. retailer (besides Apple Stores) with a contract to sell the iPad, is it shooting itself in the foot? 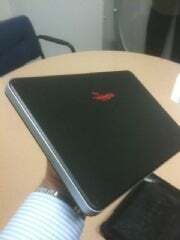 And can the relatively unknown Rocketfish brand produce a decent alternative to the slew of soon-to-be-released tablets? 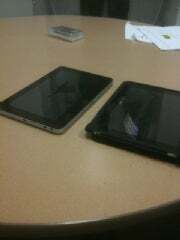 The photos Stephen posted are the only information available about the potential Best Buy tablet. The photos are only form factor representations without guts inside, according to Stephens. He did hint at the possibility of using Android as an OS when he tweeted "the question is: Is 2.2 ready for the tablet interface?" -- a likely reference to Android 2.2, or Froyo. The New York Times points out the Best Buy tablet's physical similarities to the Hewlett-Packard Slate -- a tablet that was heavily hyped by Microsoft in January, but then quietly disappeared, with all indications that HP plans to use its newly-acquired Palm WebOS instead of Windows 7. Rocketfish is known (but not well known) for manufacturing rebranded products, such as AV cables, computer parts, and GPS chargers. These products get disappointing reviews that hover around the 2.5 or 3 stars mark (out of 5 stars) on Best Buy's own Web site. While Rocketfish products are nothing more than cheaper alternatives to name brand accessories, their apparent subpar quality doesn't paint a promising picture for a more complicated product, such as a tablet. Other in-house brands sold by Best Buy are Geek Squad, Insignia, Init, and Dynex. Best Buy has been pushing its in-house branded items lately, as the competition to sell cheap alternatives to name brand devices heats up. Investopedia notes: "In focusing on its house brands, Best Buy seems to want to accomplish what Sears Holding has done in developing a strong customer brand loyalty through Sears brands such as the Kenmore appliances and Craftsman. Best Buy is competing with Wal-Mart and Amazon by developing better quality products using customer feedback and analyzing consumers' needs and wants." What do you think? Can Rocketfish make its mark on the tablet market? Will the Best Buy tablet suffer the same fate as the JooJoo tablet, which had a lot of hype, horrible reviews, and really embarrassing sales (only 90 pre-orders ... and 15 returns)? Will Best Buy's continued sales of the iPad seriously hurt its own tablet's chances?